I recently traveled from Haines, AK to Bellingham, WA via the Alaska ferry system. A wonderful, inexpensive way to travel. And you can bring your car. Met some wonderful folks; especially an interesting couple from Australia. A big “Hi!” to them. The trip, as well as a drive through the Yukon Territory before catching the ferry, will provide much material for posting on this blog. The Alaska Marine Highway System (AMHS), founded in 1948, serves communities in Southeast Alaska that have no road access. Ferries transport people, freight, and vehicles. It has its headquarters in Ketchikan. The AMHS is part of the National Highway System and receives federal highway funding. It is also a form of transportation of vehicles between the state and the contiguous United States without going through Canada. 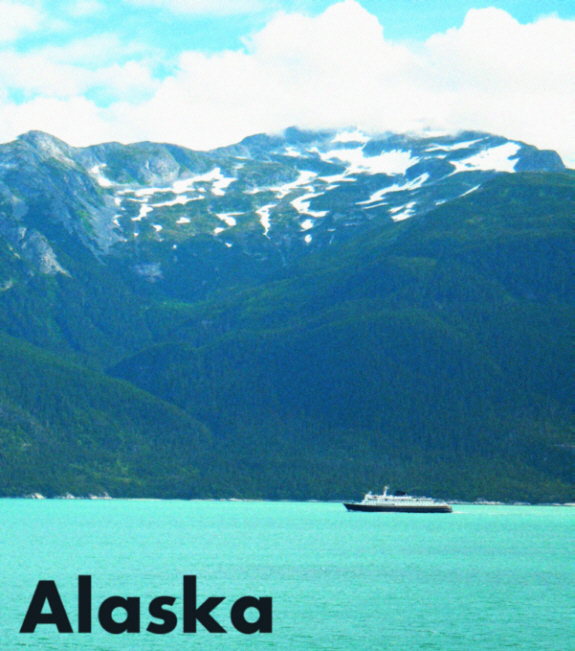 There are a a total of 32 terminals throughout Alaska, British Columbia, and Washington. The 3,500 miles of routes go as far south as Bellingham, Washington in the contiguous United States and as far west as Unalaska/Dutch Harbor. The AMHS is a rare example (in the USA) of a shipping line offering regularly scheduled service for the primary purpose of transportation rather than of leisure or entertainment. Voyages can last many days, but, in contrast to the luxury of a typical cruise line, cabins cost extra, and most food is served cafeteria-style. The AMHS carries around 350,000 passengers and 100,000 vehicles every year. IThe Ferry is very popular with summer tourists (one of the primary reasons Bellingham and Prince Rupert are AMHS destinations). Tent cities commonly sprout up on the aft of mainline vessels, and for budget-travellers, the AMHS is one of the top modes of transportation to the “Last Frontier”. Service drops off significantly in winter. Vessels usually undergo overhauls and renovations during this period due to the decline in passenger and vehicle traffic (attributed to lack of tourists).